A few weeks ago I visited Gleniffer High School in Paisley, delivering a creative writing workshop to 2nd years. The class were very quick to come up with some brilliant ideas. I’m always impressed with the imaginative characters and places pupils create in such a short space of time and love it when they become fully engaged in sessions. We had a fun discussion at the end, joining up their characters and places to develop some brilliant plot twists. 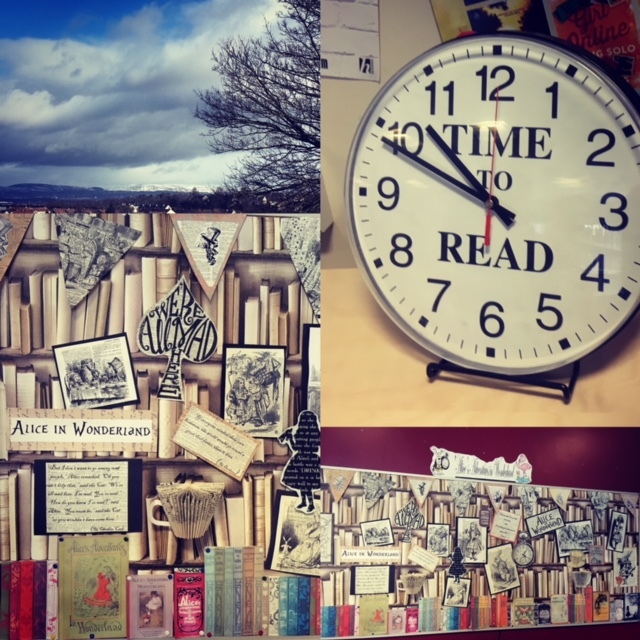 The librarian has decorated the school library with all sorts of wonderful creative displays. I took a photo of some of the Alice in Wonderland ones (below), and the fantastic clock. 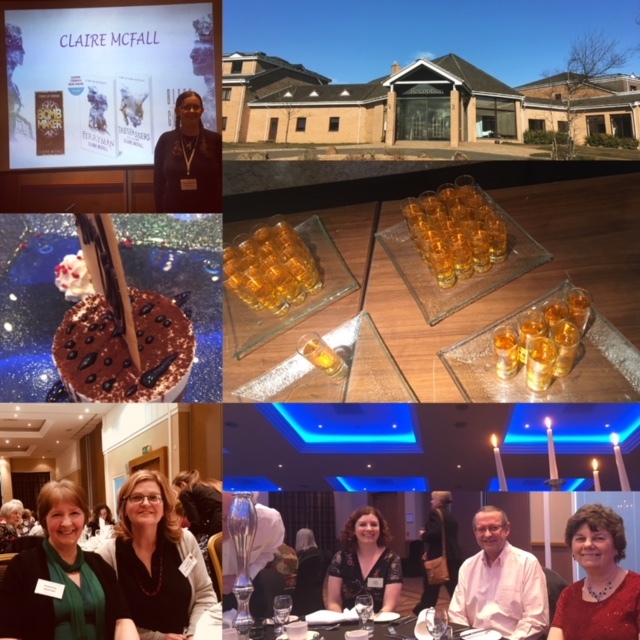 This weekend I returned to the annual Scottish Association of Writers conference at the lovely Westerwood Hotel. After adjudicating and leading a workshop last year, it was nice to sit back and relax this year, immersing myself in the inspirational talks and workshops. Lari Don delivered a brilliant workshop on the theme of re-working myths and fairytales, talking about the art of traditional storytelling, (starting the session by telling us a very animated traditional story). I also enjoyed Claire McFall’s workshop about what we can get away with when writing more gritty aspects of YA fiction; lots of food for thought. Wendy Jones left me in awe with the remarkable adventures her writing takes her on, and she left me with lots of inspiring marketing ideas. One of my favourite parts of this weekend is speaking to a range of writers of all ages and experience. It was great to catch up with old friends, and meet new people. I always find it so reassuring when I hear experienced writers, (with many books under their belt), still go through a crisis in writing confidence every once in a while but always find their way through the obstacles and blocks by focusing on the pure love and the thrill which comes with storytelling. My next creative task is to adjudicate the first chapter of a YA novel from members of Erskine Writers. I’m looking forward to delving into the stories. This entry was posted in Uncategorized and tagged SAW; writing; inspiration; attainment challenge; writers talks; storytelling; scottish writers; scottish authors. Bookmark the permalink.